Online purchases…the earlier you buy, the cheaper the tickets! PLEASE NOTE: When you purchase tickets online, you are purchasing a “discounted” ticket and coupons/offer/promotions CAN NOT be used in conjunction with these purchases. COLLEGE STUDENTS: Show your Full-Time college i.d. and get 10% OFF Adult Ticket Rates! MILITARY/FIRE/POLICY/EMS: $10 Off Full-Day Adult Lift Tickets with your id/badge. GOT A GROUP? Save on Tickets, Rentals, Lessons & Tubing too! SAVE EVERY DAY you visit with the Value Club Card! Discount applied to the age of the purchaser (adult, youth, senior). Card is not non-transferable. * Half-Day begins at 12:30pm. Multi-day tickets are for consecutive days only. * All coupons/discounts are valid off full-day, full-priced tickets and can not be used in combination with online or any discounted rates. 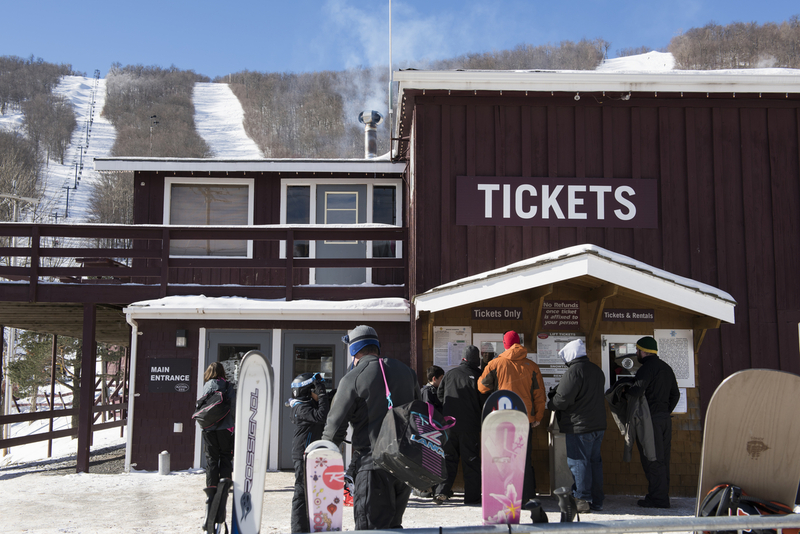 Plattekill is not responsible for lost lift tickets or lost/stolen property. No refunds once lift ticket is affixed to your person. Visa, Mastercard, Discover and American Express accepted. Sorry, no checks. ATM is located in the base lodge.